Yes! The leaves are starting to turn and the evenings are getting shorter. This year I bought a new wreath at my favorite store for $7.99. (Clearance) Very Thrifty. I added a bow and some little fall floral picks I had on my Thanksgiving table post in 2010. 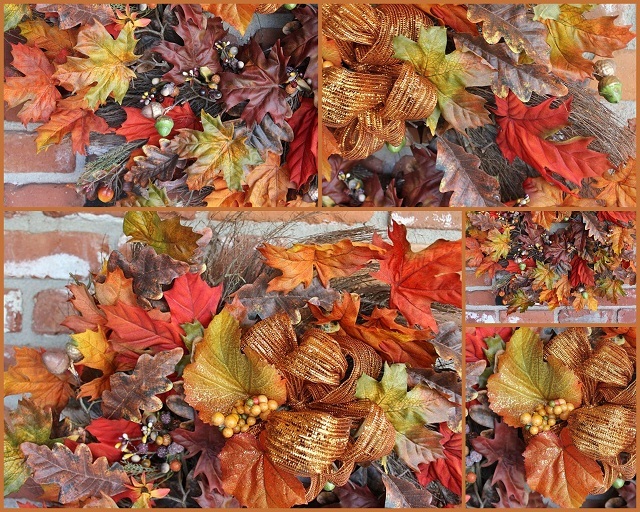 A Fall Wreath for my front porch. Burnt orange, green and brown. Not just Green but a warm and soft green with a hint of brown. Adding a Bow with some sparkle is always a fun and easy way to dress up a wreath. I'm joining some friends for a blog party or two. Hello to my new follower! Very pretty and it speaks FALL to me! Love it and looks great! Very pretty and makes a great header!! Amazing, you made your very inexpensive wreath look like a million dollars! ! 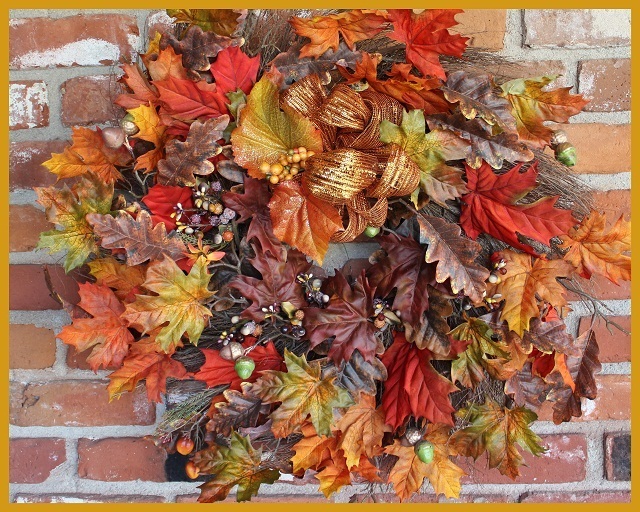 Fall wreath will welcome so many folks to your home this year. Nice job!